Perhaps the only bright side of the current opioid crisis gripping the nation is that it’s led to creation of a new and excellent Student Loan Forgiveness Program for Nurses, Physicians, Pharmacists and other Medical Personnel fighting the opioid epidemic. This program is offered by the HRSA and NHSC, and officially called the NHSC Substance Use Disorder Workforce Loan Repayment Program, or abbreviated as the SUD Workforce LRP. 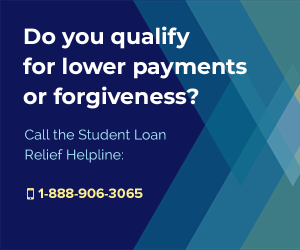 The SUD Workforce LRP program offers up to $75,000 in loan forgiveness benefits in return for 3 years of qualifying service on the front lines of the opioid crisis, making it one of the most powerful Federal Student Loan Relief Programs in existence. Created to help entice more nurses and other health professionals to get involved in the fight against opioid drug addiction, the SUD Workforce LRP rewards individuals willing to work in underserved areas struggling to hire enough Substance Use Disorder personnel. The program is supposed to help provide better access to medication and behavioral health counseling in these underserved areas, making it easier for people to get effective treatment for their addiction to dangerous drugs. 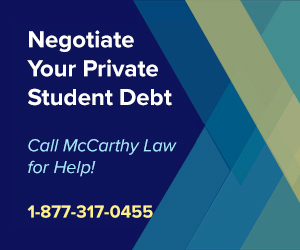 Let me introduce you to the dirty little secret no one in the student loan servicing industry wants you to know: the trick to getting rid of your loans as quickly and cheaply as possible is to pay for an expert to create your repayment strategy. Many people around the web advise against this, but some of them are paid shills from the student loan servicing companies who don’t want you to know about all the forgiveness, discharge, consolidation, deferment and forbearance programs available to you because these benefits cost them money! However, you do need to be careful about who you trust to help with your student debt, because hiring the wrong company can costs you thousands of dollars and provide zero benefits, which is why I only advise my readers to trust one group: the Student Loan Relief Helpline. 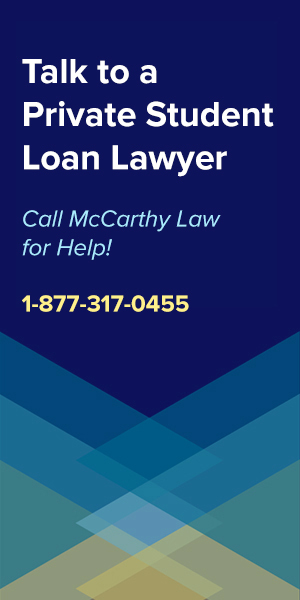 The Helpline can review your case, evaluate which programs and repayment plans will work best for you, then create a process for getting rid of your debt as quickly as possible, and while they do charge a few hundred dollars for their help, they could save you thousands over the lifespan of your loan. 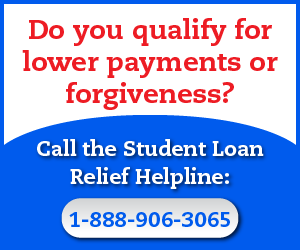 To get effective, affordable help with your student debt, call the Student Loan Relief Helpline now at: 1-888-906-3065. 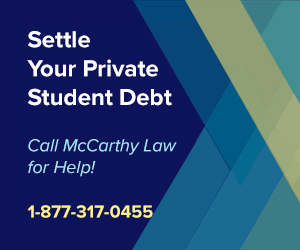 This program provides exceptional student loan forgiveness benefits, with up to $75,000 in total student loan repayment assistance in return for agreeing to serve for three years providing substance abuse treatment services at an NHSC-approved location. 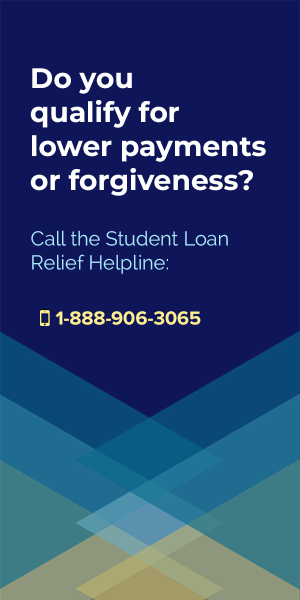 That $75,000 max may not completely wipe out your student debt, but to be honest, this is one of the highest amounts on offer from ANY Federal Student Loan Forgiveness Program, and even significantly more assistance than the best paying Military Student Loan Forgiveness Programs offer! 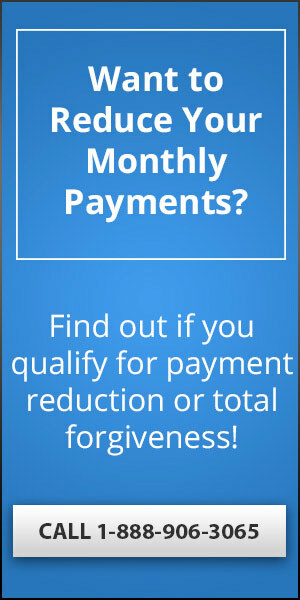 Perhaps the only way to qualify for a better forgiveness benefit would be taking advantage of the Public Service Loan Forgiveness Program, the Non-Profit Loan Forgiveness Program, or the Federal, State and Local Government Employee Loan Forgiveness Program, which many Nurses are able to access, and which offers complete student loan debt forgiveness, but only after 10 years of qualifying service have been completed. Personally, my opinion is that if you think you have any shot at getting access to the SUD Workforce LRP benefit, it’s absolutely worth pursuing. You have to apply for and be accepted into this program before you can start working your way toward earning the benefit, but you shouldn’t even bother applying unless you satisfy the following eligibility requirements. First, you must either already be working at, or have accepted an employment offer at a worksite approved for the NHSC SUD Workfore Loan Repayment Program. Sites that qualify for this program include sites that have a Health Professional Shortage Area (HPSA) score qualifies for NHSC funding, or sites that have a score too low to qualify for ordinary NHSC funding, but which would qualify for funding under their Mental Health or Primary Care HPSA score. As I mentioned above, only some disciplines and specialties are eligible for SUD Workforce LRP. To qualify for the benefit, you must be a provider who uses evidence-based treatment models to hep treat substance use disorders, and you must be trained and licensed to provide SUD treatment at the NHSC-approved evidence-based SUD treatment center. That is to say, you can’t just be a regular Nurse or Medical Professional who wants to get into offering treatment or support for Substance Use Disorders; this has to be something that you’re fully trained and licensed to provide. 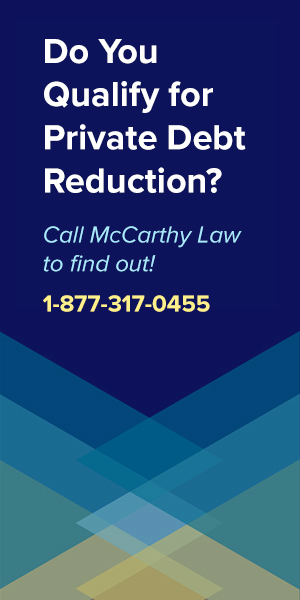 If you’re working in a capacity supporting SUD treatment, then there’s a good chance that your discipline or specialty qualifies you for the program, because virtually any role in the process makes you eligible for the benefit. As I mentioned, you don’t have to be a Nurse, a Doctor, or even a Pharmacist or some other ultra-specialty role to take advantage of this program. Behavioral Health Professionals and Substance Use Disorder Counselors can qualify as well, making this an excellent option for people outside of the traditional “Medical” professions. What locations are on the list of NHSC Approved SUD Treatment Sites? NHSC-approved sites must be health care facilities offering comprehensive outpatient services to populations residing in Health Professional Shortage Areas, meaning places that don’t have enough access to trained personnel who specialize in Substance Use Disorder Treatment. Typically, this is going to be locations in either Inner Cities or Rural Areas, as most HPSAs fall into one or the other category; they’re the places that most people simply don’t want to live or work, for a variety of reasons, including poverty, poor outcomes, less pay, etc. And that’s the big difficulty in qualifying for this program, or any others offered by the NHSC, and designed to support HPSAs – you almost always have to take a job that you wouldn’t want to work unless you were being offered a significant benefit, like $75,000 in loan forgiveness, in return for doing it. Now, to provide a little more specific detail on how a site becomes NHSC-approved, the site itself must have demonstrated to NHSC that it meets or exceeds requirements outlined in the NHSC Site Agreement and NHSC Site Reference Guide documents, and it must have submitted the required documentation to prove it. If you work in a qualifying position at one of these types of centers, clinics, or facilities, then you should definitely speak to your HR team to see if they’ve taken care of the required certification pieces, and gotten approval from the NHSC for you to participate in this program! The SUD Workforce LRP Application Process requires quite a bit of work, and the NHSC website even estimates that it will take three weeks to complete an application, so be sure to start your process early, because this program only accepts applicants during a short time window at the beginning of the year. First, you must submit a legible, complete online application, including all the required supporting documents, before the application deadline. I’m not going to breakdown the application instructions individually, because there’s a ton to cover, but you can find them by going to the NHSC’s official “Application Requirements” document here. One thing to make absolutely certain of is that all the answers in your application match the details in your supporting documents, as if there are any disparities, NHSC will reject your application outright. For additional specifics, again, please visit the official program information page on the HRSA’s website, here. For 2019, applications need to be completed and submitted by February 21st, at 7:30 pm EST. This deadline will change each year, so don’t assume that just because it’s Feb 21st for 2019, we’ll have the same deadline in 2020. Every year, the NHSC LRP programs all have different rolling windows for when applications are accepted, and you’ll want to make absolutely certain that you’re operating within those windows because failing to get your application in on time means you have zero chance at receiving the benefit. Speaking of which, how does the NHSC determine who will be awarded? Because the NHSC LRP programs are so popular, funding typically runs out each year before everyone who qualifies for benefits can receive them, so the National Health Service Corps evaluates applications individually and chooses who to provide funding to, but how do they determine who deserves it? When you’re putting together your application, keep these factors in mind, and speak to them specifically if the opportunity arises, because the more you can make it sound like your goals align with NHSC’s, the more likely you are to be accepted into the program. After you’ve applied for the program you’re going to receive a receipt of your submission, which you’ll want to save for your records. Can You Check Your Application Status? Yes, by going to the Bureau of Health Workforce (BHW) Customer Service Portal, here. Can You Edit Your Application? Yes, you can alter the application, add supporting documents, etc., but this all has to be finished by the application deadline. Yes, you can remove your application if you do it before the Secretary of Health & Human Services signs the contract. How Does NHSC Notify Me if I’m Selected? Watch your email closely for this message, because you’ll have to confirm these four points before the confirmation deadline in order to make it into the actual program! Notifications are supposed to be sent by September 30th, so there’s a pretty big window in there from submitting your application in February to when you may find out you’ve been accepted. Personally, I’d add some sort of filter to my email that highlights any communications from HRSA or NHSC, just to be certain that I didn’t miss the announcement email! How Does the Program Work if I’m Accepted? If you are chosen for an award and you complete all the confirmation processes listed above, then you’ll officially be part of the NHSC SUD Workforce LRP the minute that the Secretary of HHS signs your completed paperwork. Can I Terminate My Contract Later? If you choose to leave the program at a later date, you will be able to do so, but only by requesting that you are removed from it. To get removed, you’ll have to submit a written termination request to the Secretary of the HHS asking them to authorize your removal from the program, and you’ll have to agree to repay any funds that you received under the contract before getting removed from the program. The chief point to consider here is that you should NOT enroll in this program if you do not feel that you will be able to finish the service obligation. How Does This Program Stack up Compared to Other Medical Forgiveness Benefits? I think NHSC SUD Workforce LRP is an excellent opportunity, and perhaps one of the best Student Loan Forgiveness Programs for Medical Personnel. Almost all of these programs require working in an HPSA (all the programs from HRSA/NHSC do anyway), so that part of the requirement is fairly standardized across all benefits packages. Where things are different is in the time requirements, and in the award amounts. But NHSC’s LRP isn’t the only other repayment program available to Medical Personnel, so make sure to take a look at all the options on offer before determining which program will work best for you. Honestly, if you work in the Medical Field, you’re almost guaranteed to qualify for one of the programs listed above, but the key thing to keep in mind is that you may need to be slightly flexible about where you choose to work. The advantage to qualifying for one of these benefits programs is that while it may require moving to a new area, or getting a new job, all of them offer significant financial assistance with student loans. 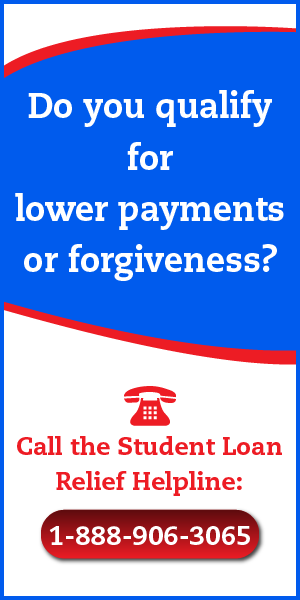 Where Can I Ask Other Questions About Student Loans? 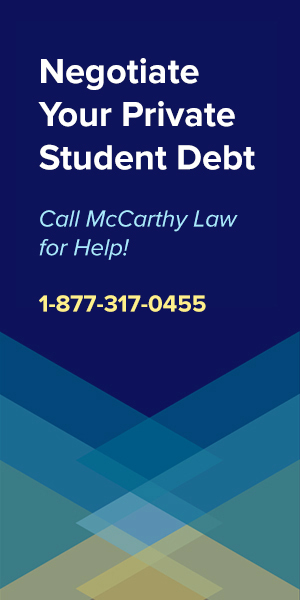 My website was built for people who want to Get Rid of Student Debt Without Paying for It, and I’ve developed over 100 different Guides to different parts of the student loan process. To make sure that you’re handling your loans as efficiently as possible, paying as little as possible, please check out some of the other Guides I’ve developed, including Guides for people with both Federal and Private debt. 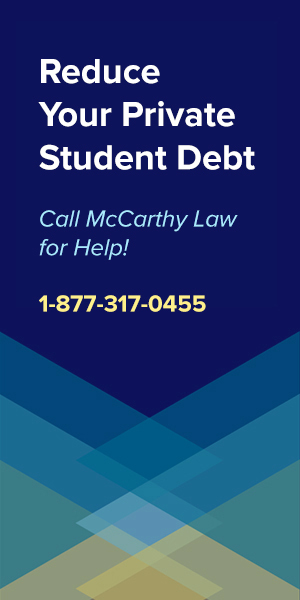 Finally, if you still have any other questions about student loans or the student loan repayment process, please do feel free to post them in the Comments section below. I review Comments regularly, and will do my best to get you a reply within 24 hours of posting! The material for this post comes directly from the HRSA and NHSC website, including a variety of pages specific to the SUD WOrkforce LRP Program, as well as some other pages about general NHSC objectives. As you can probably tell, this website takes a great deal of time, effort and energy to manage. I have to remain up to date on all of the latest deadlines, rules, etc., which means I spent hours and hours each and every single day monitoring for rules changes, legal changes, and new programs. But I can only dedicate so much time to managing the site if people are actually using it, which means I need as many people to visit as possible, otherwise it becomes a losing proposition. If you found the content of this page useful, please consider helping me out by sharing it with your family, friends or colleagues. Post it to Twitter, Reddit, Facebook, or even email it around to other people you think would find it valuable. Thank you so much for your support, and please do make sure to come back soon!